Choose your speed: Adjustable Smart Drive: Easily adjust the mower's speed to your stride by rotating the control. 5 position adjustable control for comfort. Variable speed from 0 to 4 mph. Honda Auto Choke™ System - easy starting: No engine choke required! Just start the mower and go! 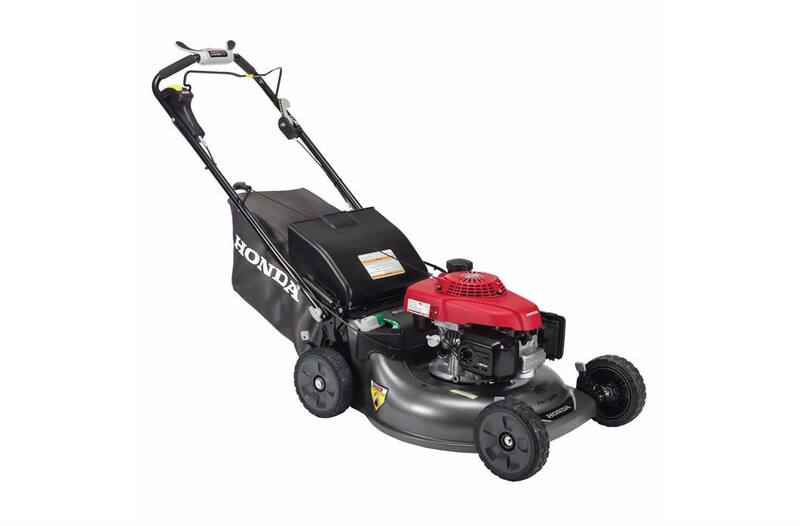 The adjustable throttle control allows engine speed to adjusted to idle when emptying the grass bag or transporting the mower. 6 position height adjustment (1 1/8" - 4"): Convenient height adjustment levers to set mowing height for lawn conditions. 21" heavy duty mowing deck: Rugged, durable steel for long life. Mowing height range: 1 1/8 -4 in.